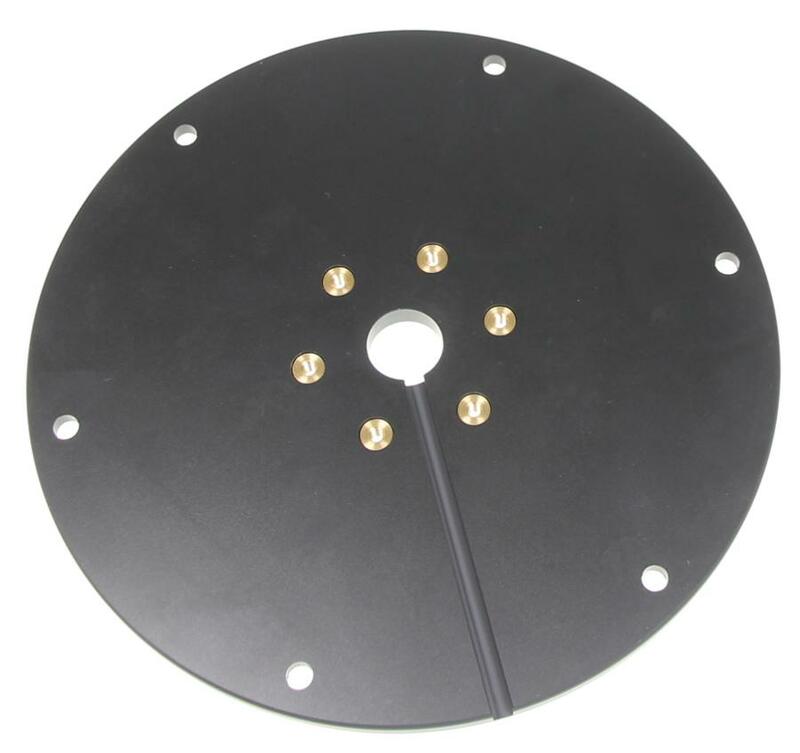 Pedestal mount mounting plate for cable entry sets/parts, round. Diameter: 200 mm. Thickness: 9 mm. Includes 6 screws, 1 Allen key. Black. 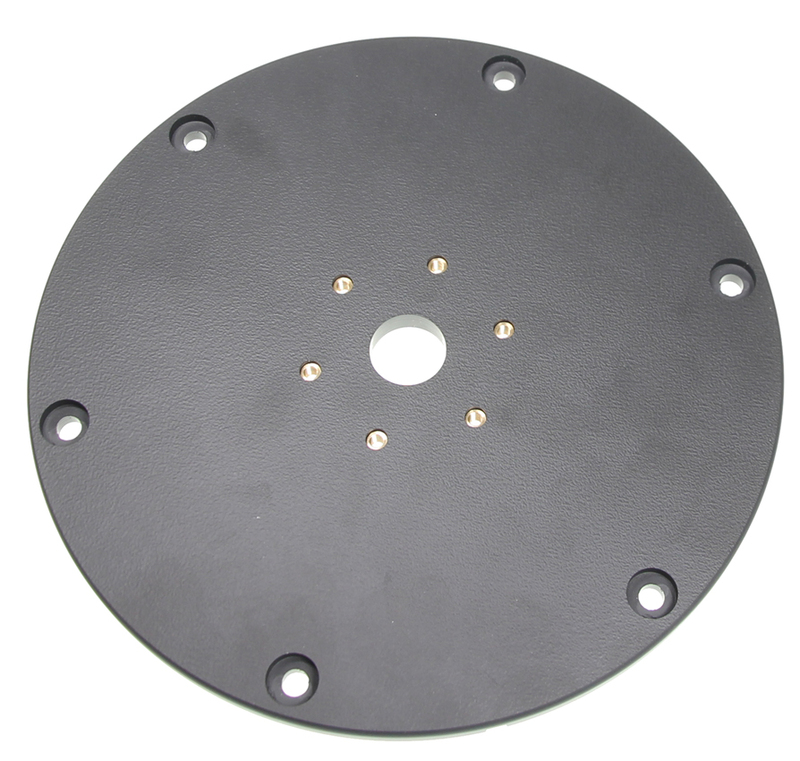 Round mounting plate to be used when you need a larger base for your mounting solution. E.g. if the holes need to be spread further apart on the area where it should be attached. The plate has a center hole and a groove on the bottom side for cable pass through.